A rich but milk cream for the delicate eye area. Lifts, brightens, nourishes, and protects. Reduces puffiness and may reduce the risk of developing fine lines around the eyes. Apply morning and night. Can also be used around the lips to minimize fine lines. Apply a small amount of cream lightly on the skin around the eyes. Use in the morning and evening or as much as needed. 100% natural, chemical free, and no animal testing. Hydrating under eye treatment cream that helps to prevent fine lines and dark circles. This cream contains herbal extracts and essential oils that helps to keep “puffy eyes” at bay, as well as minimizing the formation of wrinkles. 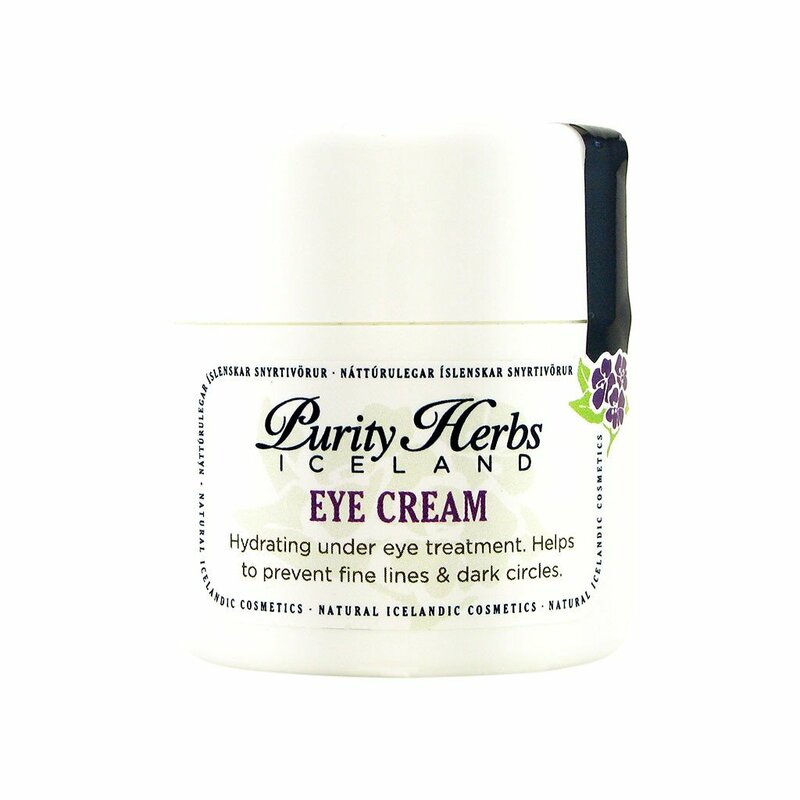 Eye cream contains Wheat germ oil that has high content of natural vitamin E which may reduce the risk of developing fine lines around the eyes, as well as providing the perfect amount of moisture, Purity Herbs recommends that the skin should be leaned with Purity Herbs Cleansing Milk before using the Eye Cream. Pineapple weed (Matricaria discoidea) – Has many cosmetic uses, e.g. anti-inflammatory, antiseptic and mild sedative. It is very healing and is used as well on ulcers, eczema, and wounds. Eyebright (Euphrasia officinalis) – Strengthens the mucous membrane, and reduces swelling. Has improving effects on various eye problems. Heartsease (Viola tricolor) – Strengthens spider veins and cleans, has commonly good effects on the skin.